The components of the surface energy budget have been estimated on a daily basis, running the EVA model over the entire region of Sicily. In a first step, the instantaneous available energy and the instantaneous sen sible heat flux (H) are derived independently. The instantaneous latent heat flux is then obtained as the residual of the energy budget equation. From these fluxes the instantaneous evaporative fraction (EF) is calculated. Under the assumption that EF is constant over the day, an approximation of the daily rate of evapotranspiration can be derived from EF and estimates of the daily available energy. The approach is explained in more detail below. is taken from a database used for an operational agrometeorological model (Supit 1994). The method follows a hierarchical approach depending on the data at hand. Where available, measurements of are taken. Else, is approximated by the Angstrom formula (Angstr0m 1924) if sunshine duration is known, or by the approach of Supit (1994) if at least cloud cover data are available. If no observations exist that are directly related to Rg, the Hargreaves approach (Hargreaves et al. 1985) is used as the final option. For the period of 1989 to 1991 the hierarchical approach could be validated by measurements of daily Rq at five stations in Sicily; the correlation coefficient reached values of 0.94 to 0.96. Such good results were achieved, because the first two methods could be applied to estimate In case of the Hargreaves method, estimates deteriorate decisively; it should be applied only as the last-choice method. More information on the quality of these estimates is given in Supit (1994). The broad-band hemispherical surface albedo is derived from shortwave reflectances as measured by the NOAA-AVHRR sensor. Atmospheric effects are corrected based on climatological data using a modified version of the 5S code integrated within the SPACE_2 pre-processing software (Tanre et al. 1990, EOS 1995). The reflectances in band 1 (visible) and band 2 (near-infrared) are then equally weighted to estimate as (Saunders 1990). with: cr= 5.67*10"8 Wm"2K"4 (Stefan-Boltzmann constant). Both parameters have been taken as fixed values in the current version of the EVA model; the associated error can be neglected in case of (Monteith and Unsworth 1990), and the density of air will vary at most +/- 3% in the expected range of air temperatures. Both roughness lengths and the displacement height have been defined as a function of the canopy height and the fractional vegetation cover, the latter being derived from NDVI values of the AVHRR data. with Afir being the instantaneous latent heat flux. The evaporative fraction indicates how much of the available energy is used for evapotranspiration, that is, for transpiration of the vegetation and evaporation of the soil. As long as moisture is available, energy will be used for its evaporation. With no plant-available moisture left, all available energy will be directed into the sensible heat flux and EF will approach zero. 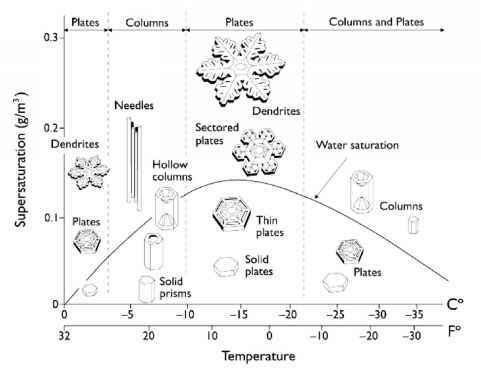 Thus the evaporative fraction integrates the moisture availability in the root zone and the consumption of the available water by plants without having knowledge of the actual amount of water being stored in the ground. It is the resulting biophysical reaction of the plants' stomata on water and energy availability in their environment that is described by the evaporative fraction. Therefore this parameter has a potential for being used as a drought indicator. where the daily ground heat flux has been taken as zero in a first approximation. The assumption of a constant evaporative fraction during daytime is only justified in case of a clear-sky day, and refers to single days, not a period of several days. Further information on applications and limitations of the EF can be found, for example, in Crago (1996) and Stewart et al. (1998). While and can be calculated in a straightforward way from meteorological data, the Priestley-Taylor coefficient deserves more attention. Although it has been shown, for example in Bastiaanssen et al. (1996), that a is not a constant, but depends on the surface resistance, an overall value of « = has been proposed for regional applications like the present study (e.g. Shuttleworth 1992). In this study a simple parameterisation of a as a function of the leaf area index (LAI) is applied, similar to the one proposed in Huntingford and Monteith (1998). The LAI, however, has to be approximated as well. Nevertheless, relating a to a variable physical parameter is surely more realistic than keeping its value constant. The resulting Priestley-Taylor coefficient, is still falling into the narrow interval from 1.2 to 1.3, indicating that a constant value of a = 1.26 would perform similarly well, indeed. Only at very low canopy heights, close to zero centimetres, and with very high canopy resistances does the value of a become significantly lower, taking values as low as 0.7.